You can’t buy the legendary Original Taco House Fiesta Dressing at the restaurant or in the store anymore, but now you can make it at home! Perfect sweet heat for tacos, salads, sizzling meats, party dips – and much, much more! On December 31, 2017, the Original Taco House, Portland’s first “Mexican” restaurant and a fixture on the Eastside for more than fifty years, abruptly closed its doors forever – yet another old-school Portland restaurant lost to the mists of time. The Original Taco House was one of those places that brought families together. The food was dependably good and priced to sell in our working-class neighborhood, and when I was little, it was one of my family’s go-to spots for a night out. My Dad was a middle school teacher, and he often had former students who waited tables there, so there was always a smiling face to greet us. They treated Dad like a celebrity, and we always got great service. When I got older and started dating Mr B, we made some fond memories of our own at The Original Taco House. The original location on 82nd Avenue was just a short walk from our high school, and in 1980-something you could get a beef “El Picador” (what they called nachos before we called them nachos) or a large “meat & cheese salad” – both smothered with that amazing Original Taco House Fiesta Dressing and big enough for two – for four or five bucks. Needless to say, Mr B and I spent many (extended) lunch hours there sharing a meal and gazing adoringly into each others’ eyes. Later, when I went on to have my own family, we often found ourselves eating at the Original Taco House when we visited my parents, to the point where it became one of my kids’ favorite eating spots. And the last time we ate there as a family, my grandchildren were sitting around the table with us. 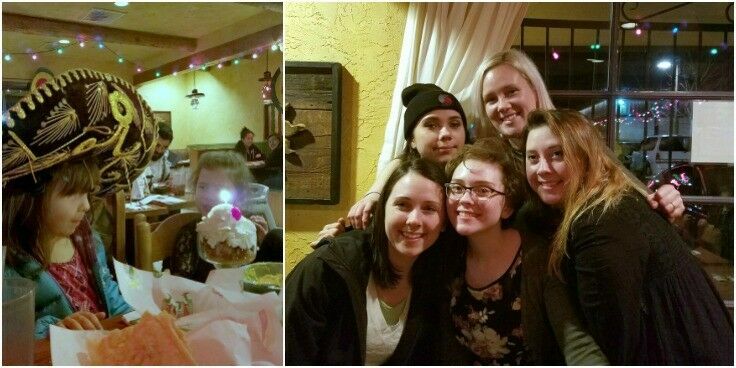 After three generations, dinner at the Original Taco House had become a solid family tradition. After all that history, it probably goes without saying Mr B and I were pretty broken up about the Original Taco House’s sudden closing. Sure, the decor was dated and the menu anything but authentically Mexican, but we loved it because of those things, not in spite of them. Now there will be no more pictures of adorable black-eyed babies in sombreros hanging on the wall watching you eat. No more burros with brightly colored saddle packs. No more (amazing!) corn-flake crusted deep-fried ice cream balls. No more sizzling “El Picadors” heaped with melting cheese and olives and peppers. No more amazing house-made Fiesta Dressing. Good thing they know when I mean business. Conveniently, ingredients on product labels are listed in order of predominance, with the ingredients used in the greatest amount first, followed in descending order by those in smaller amounts. This gave me a good road map for figuring out the recipe. I chose the brands of necessary premade products (i.e., El Pato Tomato Sauce, Chalula hot sauce) based on the ingredients listed parenthetically on the label list (i.e., the list of collective ingredients in the hot chili sauce, Worcestershire sauce, etc. as listed on the label) in an effort to keep them as close to the original ingredients used as possible. In the end, I think we hit it pretty darn close. (We even nailed the exact calorie count of the original!) 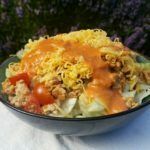 The mixture I created is somewhat creamier in appearance than the original Original Taco House Fiesta Dressing, but the flavor is spot-on and it has the familiar slightly sweet kick and peppery tang that we crave so much. Fiesta Dressing is essentially a Tex-mex spin on Catalina: a sweet, spicy, and tangy, with just a hint of Romano. Here’s to happy memories! Enjoy! Put everything in a blender jar except the Romano cheese and black pepper, and blend until smooth and creamy. Add the cheese and pepper and pulse to break up the cheese a bit more. You want the pepper and cheese to be a little grainy to give the dressing some texture. This dressing is ready to use immediately, but a day in the fridge will help the flavors really come together. El Pato Tomato Sauce has the exact list of “hot chili sauce” ingredients as are listed on the OTH dressing label, in the same order. It was the only sauce I could find that did. Xanthan gum is a thickener, and can be found the bulk food area of many stores. You don’t have to use it, but if omitted, your dressing will be a little thinner. Fiesta Dressing adds a sweet little kick to tacos, salads, and nachos, of course, but I’ve also used it in everything from eggs to soups to casseroles, and as a marinade for grilling, all with amazing results. ATTENTION: Following the overwhelming success of this dressing recipe, I’ve received many requests for other recipes from OTH, including the enchilada sauce and mild salsa recipes. Unfortunately, while I’d love to work out and share those recipes too, I lack the ingredient lists and samples to do it properly. 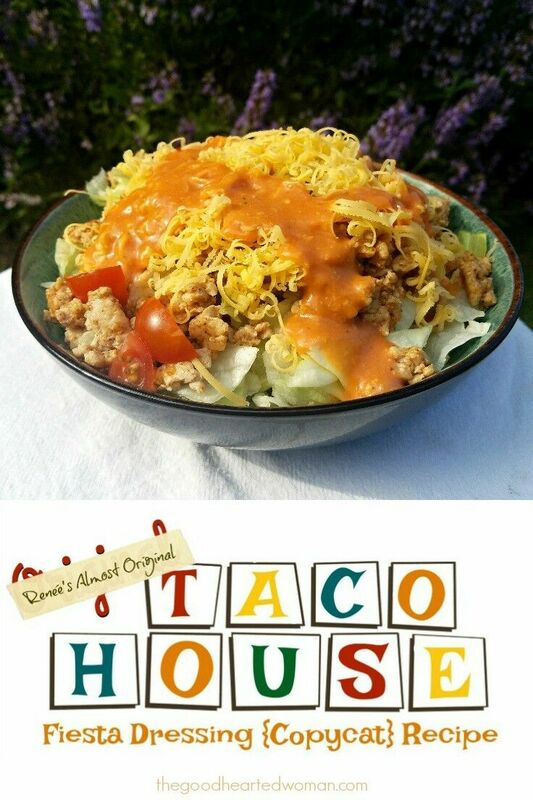 I’d never been to the Original Taco House, but this post makes me want to test out this dressing! It’s summer salad season now and I love to have a variety of dressings to mix dinners up. Loved that dressing! Glad you did a copycat. Loving your website and all the old-fashioned inspired recipes! 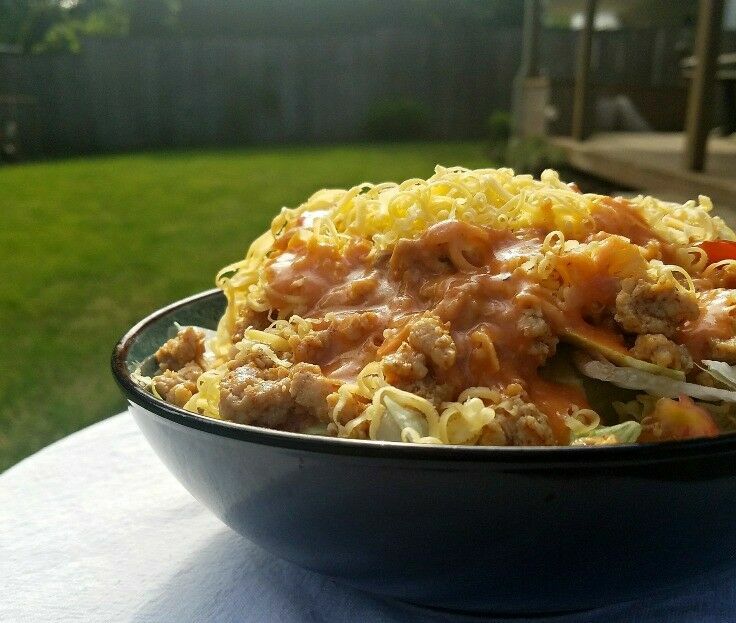 You totally have me craving a taco salad now! Such a delicious dressing! Thank you!!! I immediately tried to find the recipe once we cleared out all the grocery stores in our area for the dressing. I emailed Wadle’s as well, but got no reply. I tried recreating it, but soon gave up. Last night we had tacos and were commiserating about no fiesta dressing. So, I looked again for a copy cat recipe and found yours!!! It’s really good!!! I’m so glad it works for you, Connie! I love to make homemade dressing! This looks so delicious – it’s a must try! 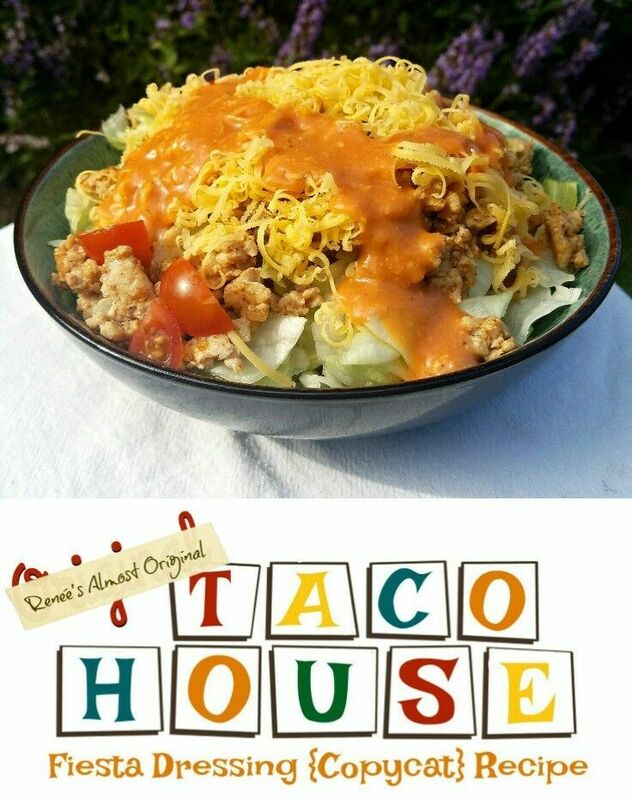 I never ate at Taco House, but the dressing sounds great, especially hearing about how tempted your family was to eat it! Oh my, this dressing looks and sounds like it’ll make everything tastier! YUM! Ohh can’t wait to try this dressing it looks delicious! This sounds delicious. I’ve never had it before, but now I want it! Thank you for your persistence in recreating this – I didn’t have all these wonderful memories of Original Taco House, but was shocked too when they closed last year! I’ll reserve my experiences with the food at the taco house for a private conversation ;), but I LOVE that you recreated a salad dressing from a place that holds so many special memories for you and your family. And what a great capture of all of your girls in one spot! On The Border salsa was another good one and their chips light and airy…. So much of our childhoods is dying out and it’s sad. If the Waddles didn’t wantto continue they should have at least offered the staff the option of taking over and keeping it going. I never met a Waddle at either location and always returned wanting the el picador or flaming chicken burrito…. Thank you so much! I grew up eating at the Taco House and raising my kids we ate at the Burrito House. Both unfortunately closed last year. I now live at the coast and always had a bottle of this dressing in my fridge to put on salads or homemade nachos. I have been searching Copy Cat sites for months, and was about to give up when I found your recipe. Thank you again! Thank you! Thank you! Thank you! I have 1 bottle left and have been doling it out to myself. Any chance you have a copycat of their burrito/enchilada sauce? My heart was broken when they closed! Just like you, my husband and I spent many of our early dates at the 82nd location, as we both grew up in the neighborhood, I started my bachelorette party there, went there for a few anniversaries, and any time the hubby wanted to surprise me and put a smile on my face, we’d pull into that parking lot and I could instantly taste that dressing, I was so excited to eat! Not at all authentic, salty and fatty but oh so many memories, my kids ordered their first “Shirley Temple” there and absolutely loved their beans! Unfortunately my dressing at home had expired when I got the news, which made me so mad at myself like I’d taken that last bottle for granted! I can’t wait to make this and have those memories live on! Thank you so much!! Thank you for reading this! And for creating this recipe! Thank you so much. I too grew up eating there. Was so sad when could no longer buy dressing. You have saved me from all future sadness. Made this dressing today and is is pretty darn close. Thank you for taking the time to share. This could almost be our story, verbatim! The only difference was that growing up, our location was the one on Powell! We were devastated when we heard they closed and I instantly got online looking for a recipe, but to no avail! Two days ago, my husband gave it another go and look what popped up….YOUR recipe! We were out the next day gathering all the ingredients, and came right home and made it. HOLLA…you nailed it! We had a dab left to taste compare, and I actually told my husband I might like your version better! Thank you for recreating this dressing! We have long since moved from Portland, and will definitely miss our trips to the OTH when we come for visits, but at least we will have this dressing to remind us of what was! Since I moved to California I have not been able to find any satisfactory substitute for the old Pic sauce (as it used to be called), except I have tried using La Victoria’s Mild Taco Sauce in a pinch which is okay, but not exactly like the original……I do have a question for you: have you figured out how to make a DIY El Picador? I have tried many times here at home only to discover there was more to those wonderful dishes than just chips and cheese and Pic sauce! 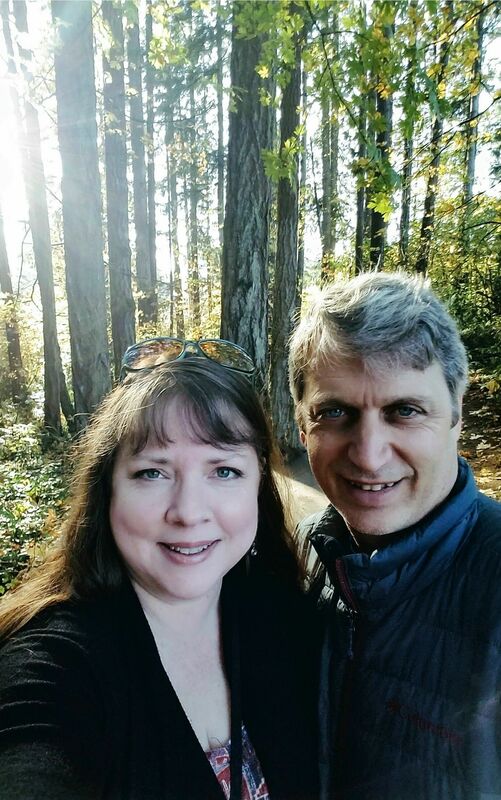 My husband and I were big fans of both the meat & cheese salad and the El Picador. The dry seasoning they used on the Pic was key, and I don’t know what it was, but I’ll work on it. Hope you can recreate! I loved the El Picador too! The pic sauce! I’m looking for that too. This dressing is great! Love your recipe. Thanks for doing the hard work on this. I’ll be making it this week. Thank you so much!!! I doubled the recipe and used a 14.5oz can of tomatoes and one yellow can of ElPato sauce. Worked perfect and tastes great! Can’t wait to make an El’Picador tomorrow! When I moved away to college they told me how to make the meat. Add one yellow can of ElPato sauce to ground beef for the meat. Now how about the salt for the chips??? A waitress who at the time was working at the Original taco House on Powell said the Picador sauce was the Fiesta sauce with something added to it but I have no idea what the added ingredient is, and she did not want to tell me. Hopefully the Waddle family will put out a cook book soon. Any one have any guesses on what was added to make it a Pic sauce? First I’ve heard of anything beyond their “salad dressing”, cheese, and seasoned meat on chips then baked in an oven. I will say their freshly made chips were something special too, I thought. I’d be curious to hear if you get confirmation of anything modified here, but when I’d talked to servers in the past they’d confirmed my suspicion of just the dressing being the added flavor. I may have to dig through old family connections to check (had family friends that worked there from 2 generations older than mine). El pato. Source: my aunt was a waitress at the Powell location from the late 70s until her death in ’92. I should note it’s the regular yellow can not the green jalapeno one. Winco has it, usually near the taco and burrito shells. It’s the yellow can of el pato, you can find it at Winco near the taco shells and such. Thanks so much, Nathaniel! I had the right brand, but I will update the recipe to specify the yellow can. That’s what I used in the recipe reconstruction. I imagine that the green can would make it taste quite different. Do you know if this can be frozen. I …would love to make a big batch and freeze individual bottles to use at a later date. I don’t think I can can it due to the cheese. However I could just add the cheese as I open a bottle and let it sit over in the fridge overnight. I hadn’t even thought about freezing it. Cheese can be frozen. If you give it a try, please let us know how it turns out. You are so welcome! I have to admit that I’m a little overwhelmed by the response to this post – it means a lot. Thank you so much for your kind words of support. I too wanted to thank you for the effort. I’d been hoping someone would simply continue the grocery sales of their products, the only one I’d searched for and bought was the salad dressing for picadors. Heck I’d been thinking it might not be a terrible business to get into myself if I could license it (selling their recipes in premade form), but no idea what the costs or efforts would be as I’ve never tried anything similar. Anyway, I hope to try this soon! I’ve actually been trying to contact Jeff Waddle to discuss just that, Joe. However, I’ve yet to find a contact avenue for him that he responds to. 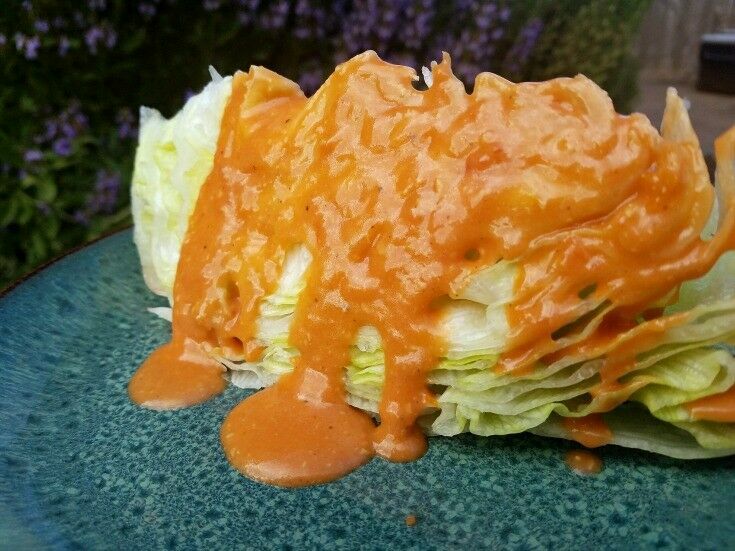 I’ll keep trying though – too many people want that enchilada sauce recipe! THANK YOU THANK YOU THANK YOU…and many blessings on your head. I have been having withdrawls since the one on Powell closed. The original tostada was my go to favorite. I accidently found your recipe. I check periodically to see if there is anything close to what I remember loving. THIS IS IT! I love you. You are so welcome, Terri! Your comment made my day! Renee…I went out and gathered all the ingredients for the dressing. I have been in a dressing/salad induced state ever since. It’s HEAVEN! So glad that it makes you happy! Do you have the OTC salsa recipe? As I mentioned int he post, I was only able to recreate this recipe by carefully breaking down the ingredient list and then taste-testing against the last ounces of my original and adjusting my recipe until it tasted right. I can’t recreate the salsa because I don’t have any of the OTH salsa to compare with. I would just like to add to my original comment…YESSS!!!! 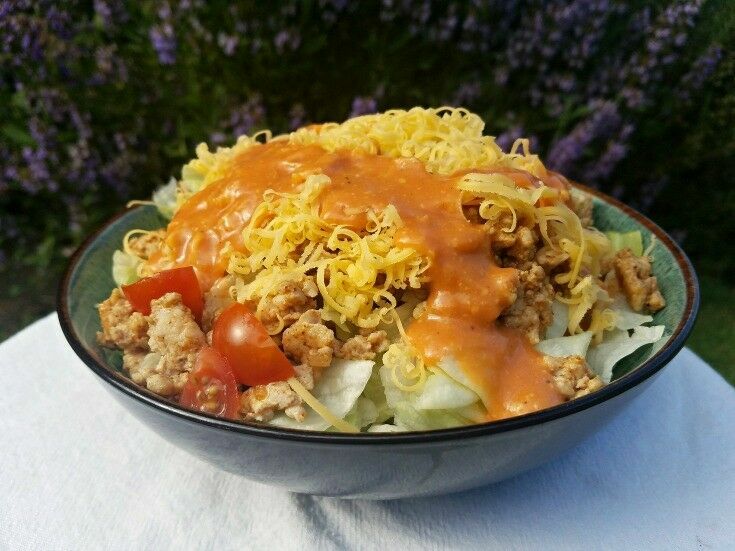 After trying several disappointing recipes in an attempt to recreate this dressing, I was so happy that RENEE DID IT!. 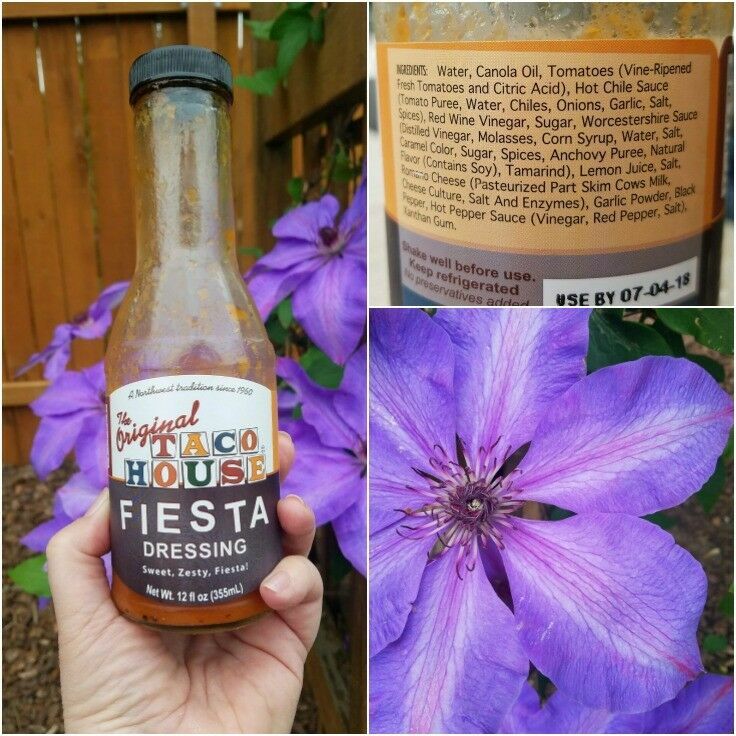 This dressing is a wonderful substitute for the Original OTH Fiesta Dressing & it’s ALWAYS in my refrigerator. Thank you again, Renee! Oh my goodness! I think I love you! I’ve been in the hunt for the dressing for a while. My niece found it st a Winco in Vancouver. I crave this dressing!! My shopping list is being filled out now! Thank you! Thank you! Thank you! Thank you, Sue – You’ve made my day! I just wanted to let everyone know that I tried freezing the salad dressing. I worked out great!! I just used an old canning jar and lid and popped in the freezer. I probably left it in there for about 3 weeks. When it was time for our taco salad dinner, I just pulled it out a day or two ahead of time and put in the fridge to thaw. It did separate, but I just shook it up and it was good to go. I am so excited this worked out. Plan on making a larger batch this time so I can freeze a few jars full. Thanks so much for the feedback, Denise! I’m so glad it’s working for you! Thank you Denise, that’s SO HELPFUL!!! Thank you so much for this recipe. Winco used to carry it years ago but not anymore. I tried to find a copycat recipe for some time before I found yours. It is absolutely a perfect match. Now I can enjoy a salad with my “cheese and onion” enchiladas. Again, thank you so much. You are so welcome, Janet! I’m glad it works for you!! I’m so happy i found this! Being born and raised in Portland, the closing of the original taco house was devistating! I have been craving this ever since the news hit. I made this today and it is so good! About 99.9% perfect. I’m currently “marinating the flavors”. So I’m sure it’s 100%! Thank you for you’re development research. It really is even better after a day in the fridge! Time allows all those flavors to meld together. I have now been eating this for the entire week. I have even had friends offer me “any sum of money” to make a batch. No I haven’t accepted! but am sharing my batches with others. LOOOOOVE IT! So glad that you like it!!! I haven’t made this yet. I’m dying to, but broke my kneecap, so in a little while. What I’m dying to find is the OTC’s mild sauce recipe. ??? ?